The world’s best rally, racing through the winter forests of Sweden and Norway. This year’s rally takes us from Karlstad through Torsby and crosses over the Norwegian border. From there it winds back to Sweden on an easterly route to Hagfors and on to its final destination in Torsby. These four days will be filled with snow, ice, hairpin curves, and hillcrests, not to mention Colin’s Crest. 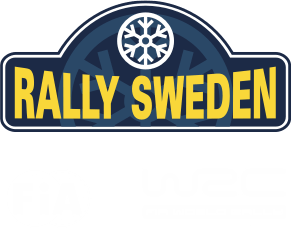 You will find detailed information below about all the stages of the rally, the arenas, and official spectator areas.